We took a call from World Productions Limited asking for a rail location for the dramatic opener for Bodyguard, a high end contemporary BBC drama. World Productions had been let down at the 11th hour by a major rail company, which had initially offered access to their carriages and network. There was an urgent need to find a credible rail location that would offer: Modern-looking carriages for some adaptation; access to a railway track for filming; a small station as location; specific time availability. We realised that the sensitive nature of the story (a bomb on a train) meant that no passenger train company would agree to provide its services. Further-more, allowing people to work on the track at a mainline depot is challenging in the highly-charged world of passenger train companies; their focus is their own operational necessities. We knew the only option was an appropriate heritage railway line. The production company was happy to engage our services. We went to work on the Bodyguard Train Location. Having a network of established contacts throughout the rail industry is a real bonus in situations like this. Adrian Booth is the rail locations expert at Train Chartering. Mid Norfolk Railway, based in Dereham, Norfolk , has relatively modern rolling stock and a charming rural-style station. It has steam & diesel locomotives. There is easy access to static carriages from the station. MNR was the perfect Bodyguard Train Location. After site visits by the Bodyguard location team, Mid Norfolk Railway proved to be just what World Productions needed. 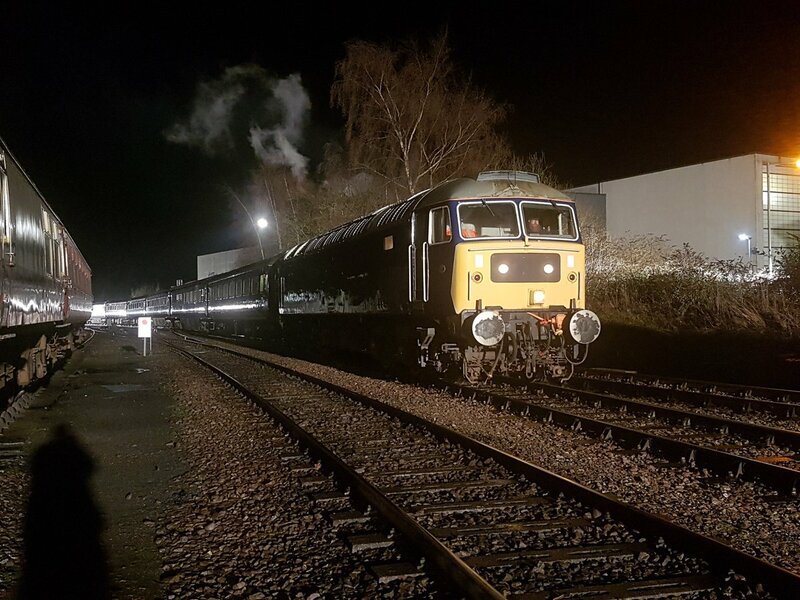 They got a high level of co-operation, support and assistance from Mid Norfolk Railway. Because the rest of the filming schedule was already underway, the rail sequences were filmed at the end of the shoot. The results were highly credible, believable, realistic - the high drama was an important device for establishing the character of the bodyguard. Train Chartering is proud to have played a part in this high profile BBC production. Adrian Booth is the rail locations expert at Train Chartering. Get in touch with Adrian - remember to give your number for a call back. +44 (0) 7907 693 477 or +44 (0)1249 890176.
Who do I contact for train and rail locations? Adrian Booth at Train Chartering. Where is the Bodyguard train? What type is the Bodyguard train? The Bodyguard train has Intercity Mk2 carriages dating from mid-1970 but looking contemporary to some existing UK mainline Intercity coaches. Where is the Bodyguard station? The Bodyguard station location is Dereham. Where is the Bodyguard depot scene? The Bodyguard depot scene was shot at Mid Norfolk Railway.